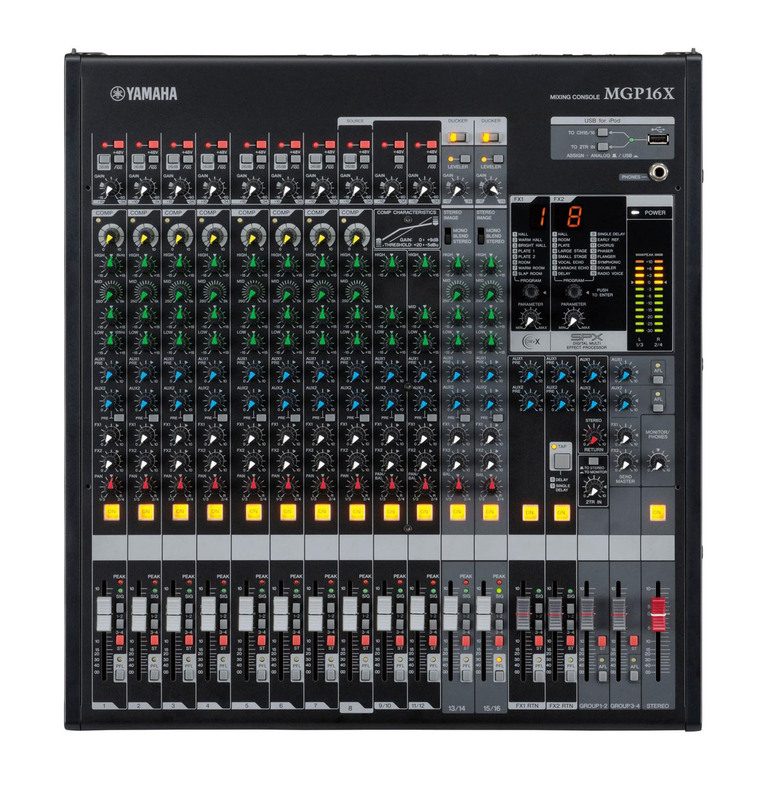 The Yamaha MGP16X mixer gives you analog warmth and simplicity along with sophisticated DSP functions, all in a compact metal chassis packed with Yamaha innovation. Your signal path starts with great-sounding D-PRE Class A mic preamps, sporting an inverted Darlington circuit design. The MGP16X’s X-pressive equalization delivers the essence of classic vintage EQs, while its intelligent 1-knob compressors give you effortless dynamic control. 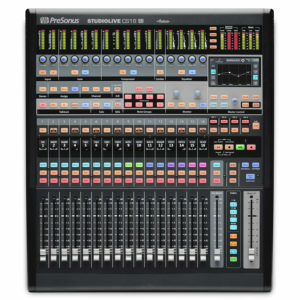 With its Priority Ducker, Leveler, and Stereo Image functions, the Stereo Hybrid channel offers a fresh take on sound reinforcement in the digital age. 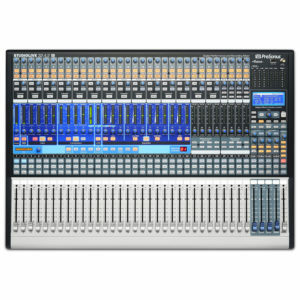 Check out the evolution of the analog mixer: Yamaha’s MGP16X. 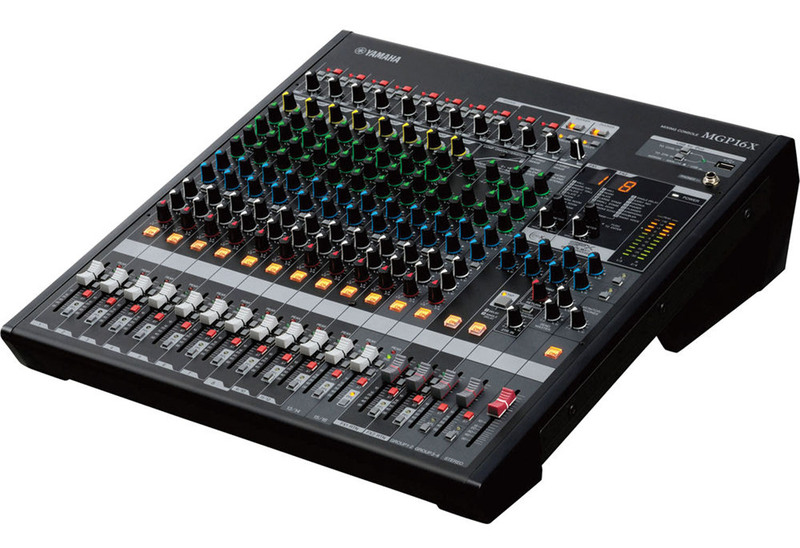 The Yamaha MGP16X mixer gives you analog warmth and simplicity along with sophisticated DSP functions, all in a compact metal chassis packed with Yamaha innovation. Your signal path starts with great-sounding D-PRE Class A mic preamps, sporting an inverted Darlington circuit design. The MGP16X's X-pressive equalization delivers the essence of classic vintage EQs, while its intelligent 1-knob compressors give you effortless dynamic control. With its Priority Ducker, Leveler, and Stereo Image functions, the Stereo Hybrid channel offers a fresh take on sound reinforcement in the digital age. 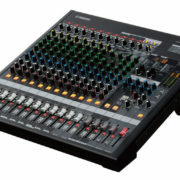 Check out the evolution of the analog mixer: Yamaha's MGP16X. 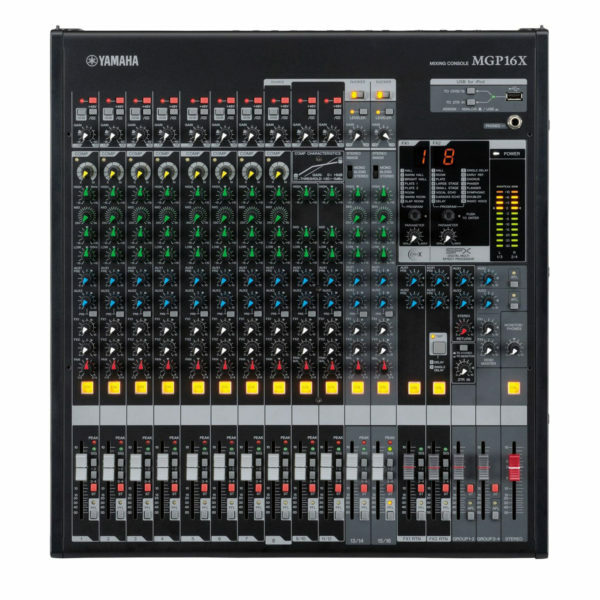 In the MGP16X, Yamaha has taken a fresh approach toward the utilization of digital technologies in an analog mixer, giving you intuitive, analog-style control over sophisticated DSP functions. One thing we love about analog gear is the direct and hands-on operation, and the MGP16X keeps this feel consistent throughout the design, giving you tons of functionality with a simple, familiar feel. With the Yamaha MGP16X, you get the best of both worlds: analog warmth and digital sophistication. Yamaha's D-PRE discrete Class A microphone preamps sport an inverted Darlington circuit design, and they sound amazing. You know those vintage equalizers you love the sound of? Yamaha engineers studied them and built all that tasty goodness into their X-pressive EQ circuit, so you get the warmth and musicality of the originals, without the noise. 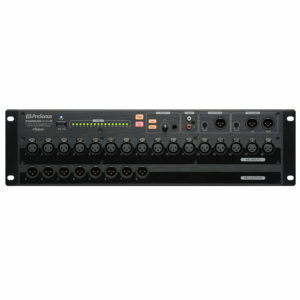 Intelligent 1-knob compressors let you add optimally set compression to a wide variety of input sources. There's much more under the bonnet, but suffice to say that this mixer sounds great in addition to being incredibly easy to operate. 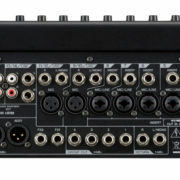 Beneath the analog-style knobs of the MGP16X lies a sophisticated digital control system. 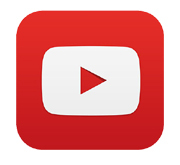 This union combines traditional analog feel with the functionality that only digital can offer. The MGP16X gives you powerful DSP that delivers three essential features that are staples of both installed and live sound applications. 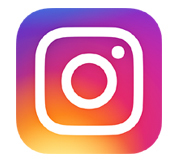 Each of these functions (Priority Ducker, Leveler, and Stereo Image) is readily accessible at the touch of a button. With its mid-sweep, 3-band EQ, and high-performance converters, the Stereo Hybrid channel delivers unique functionality and amazing sound. Yamaha's MG series consoles are packed with uber-cool features to make your life on the road a cakewalk. The MGP16X boasts two separate studio-grade effects processors: Yamaha's excellent REV-X reverb with three high-resolution 'verbs and the acclaimed SPX digital multi-effects processor, which gives you an eminently useable selection of 16 advanced digital effects. Flex9GEQ and 14-band GEQ modes let you execute precise, detailed equalization for demanding professional applications. Starting with its all-metal chassis that's contoured for optimal convection cooling, the Yamaha MGP16X is built for serious professional use. It's packed with thoughtful pro features such as an internal universal power supply that lets you plug in with confidence in any region with 100V to 240V power. In true Yamaha fashion, the MGP16X will take all the abuse your road schedule can dish out — and then some.